This is a lesson that I first tried last year with my 3rd graders. 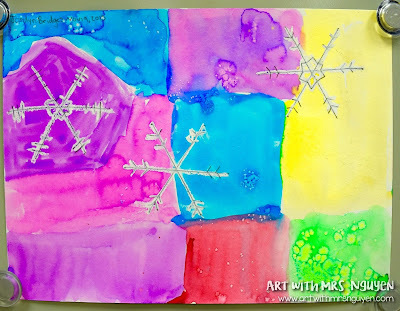 This year's paintings looks great! Only difference is instead of having them draw narrow 'X's and then adding a third line across, I had them start with hexagon stencils to mark out the corners, then connect the dots. 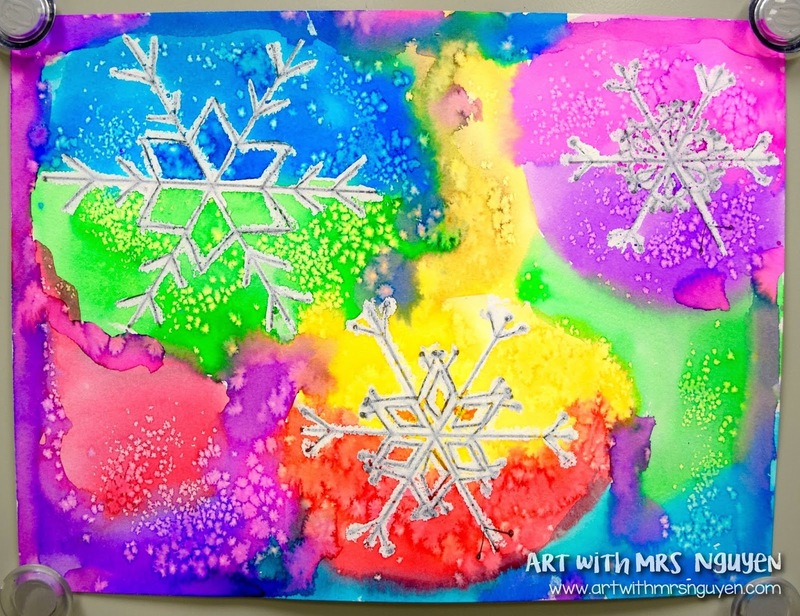 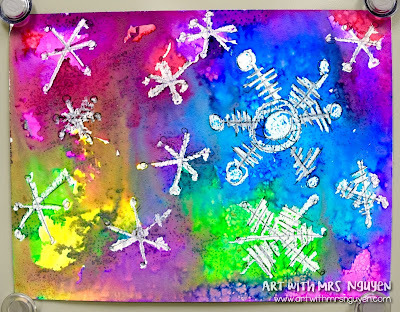 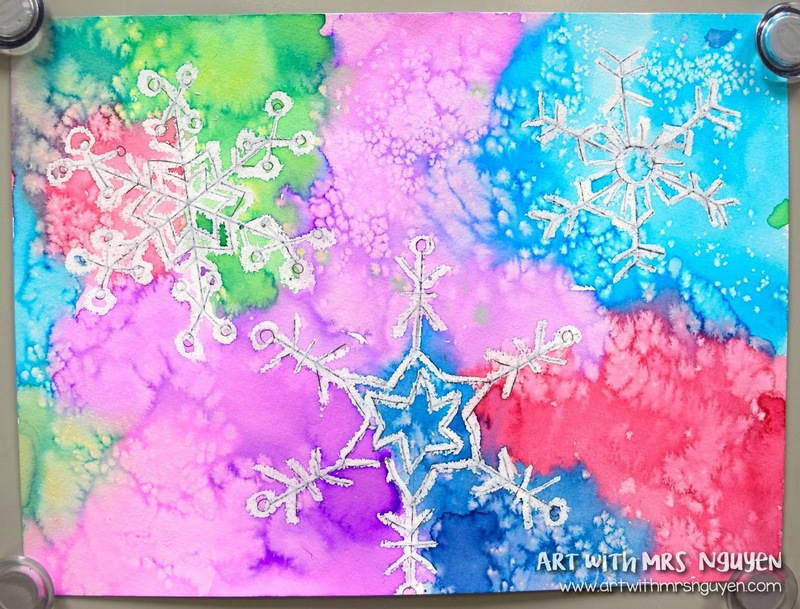 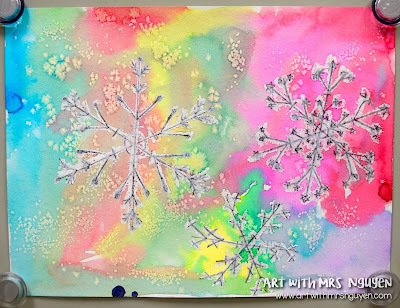 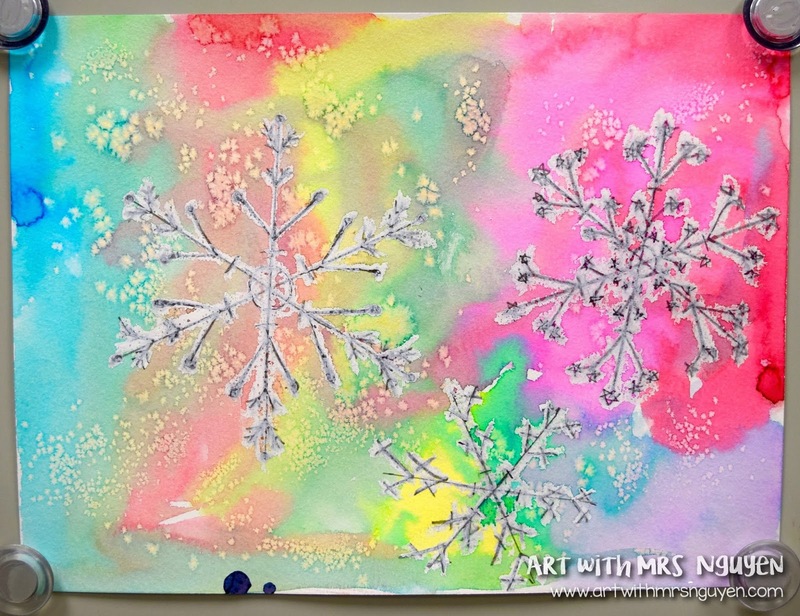 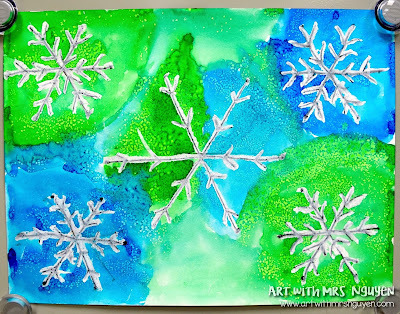 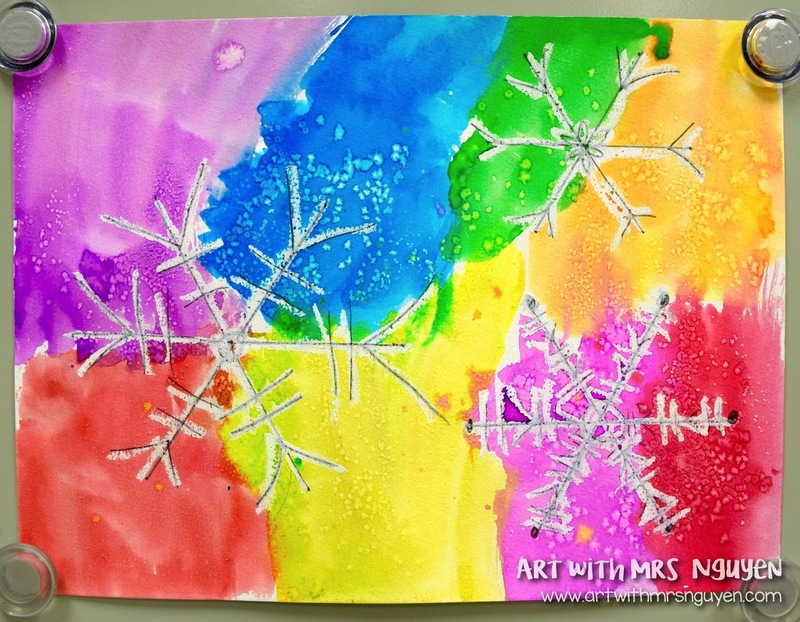 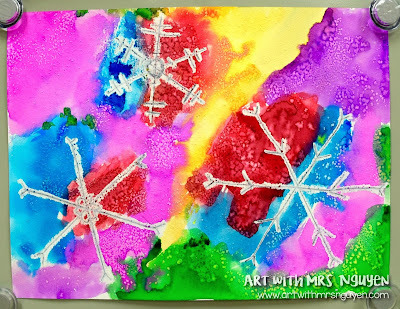 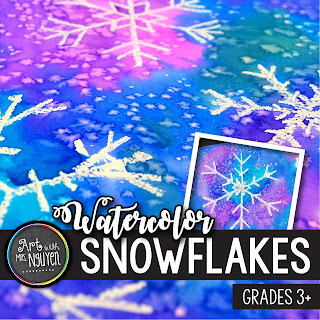 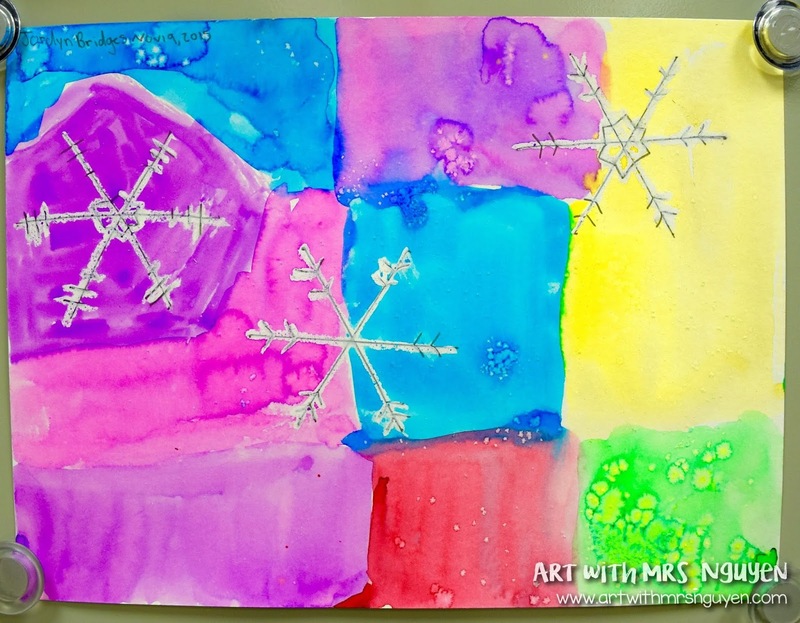 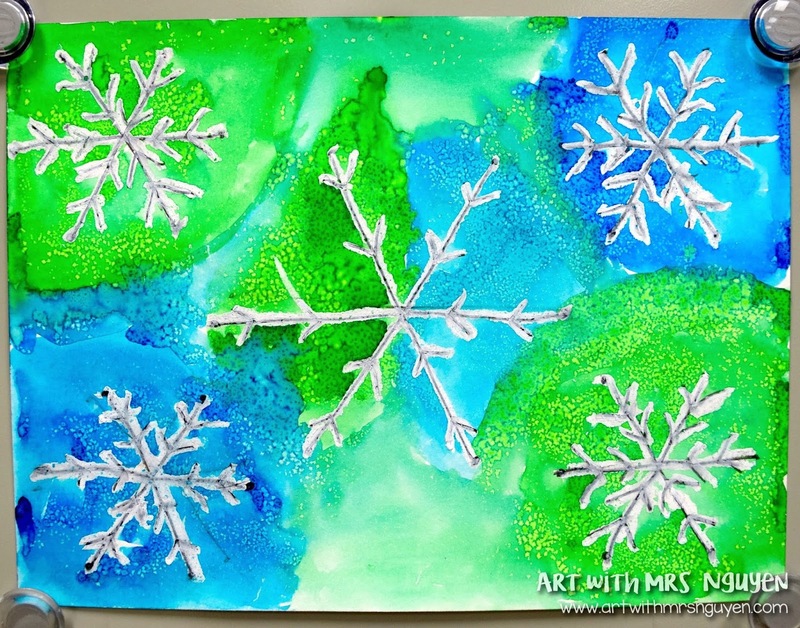 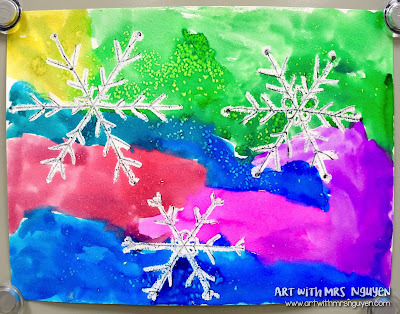 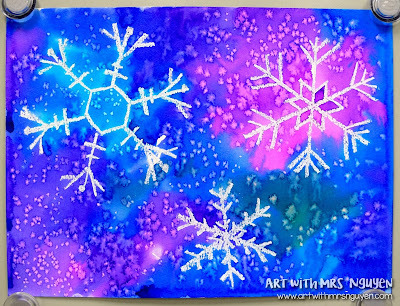 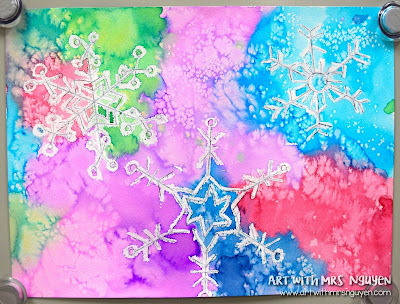 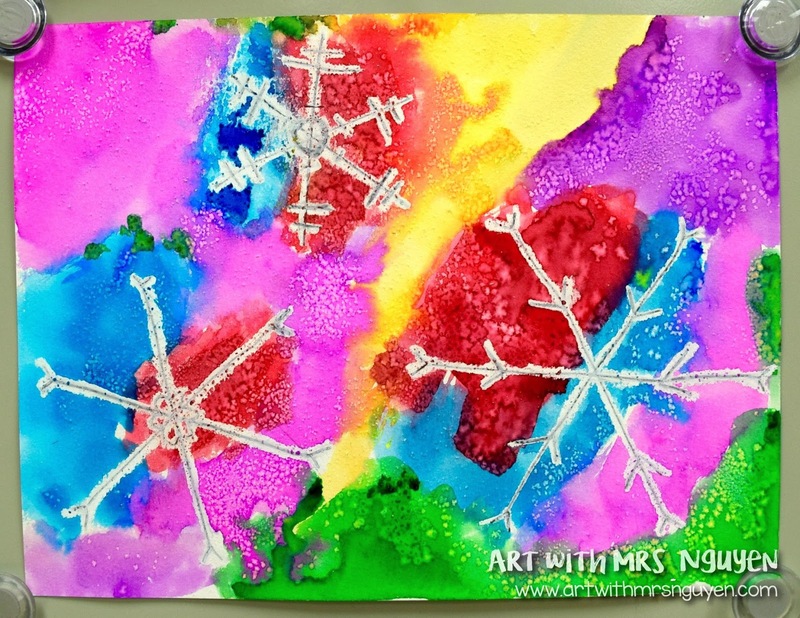 What was used to make the snow flakes so that the paint did not cover them? 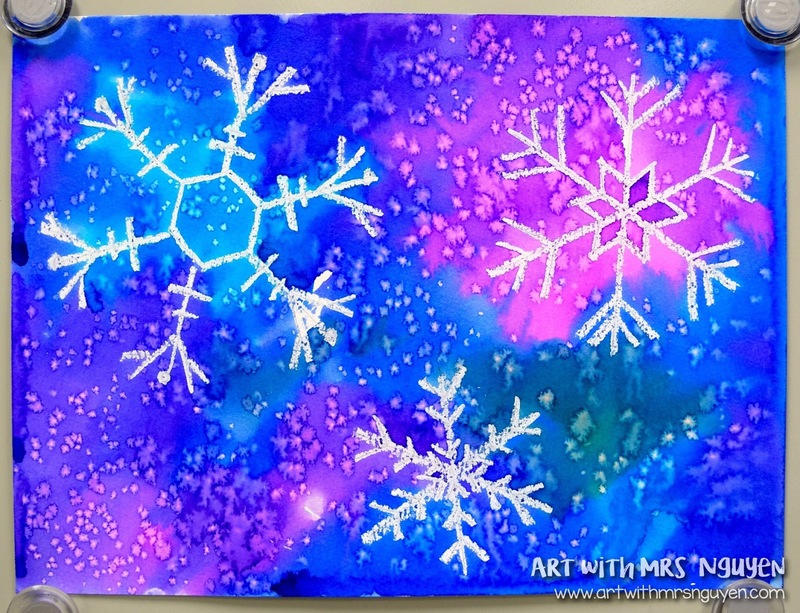 what kind of salt did you use? 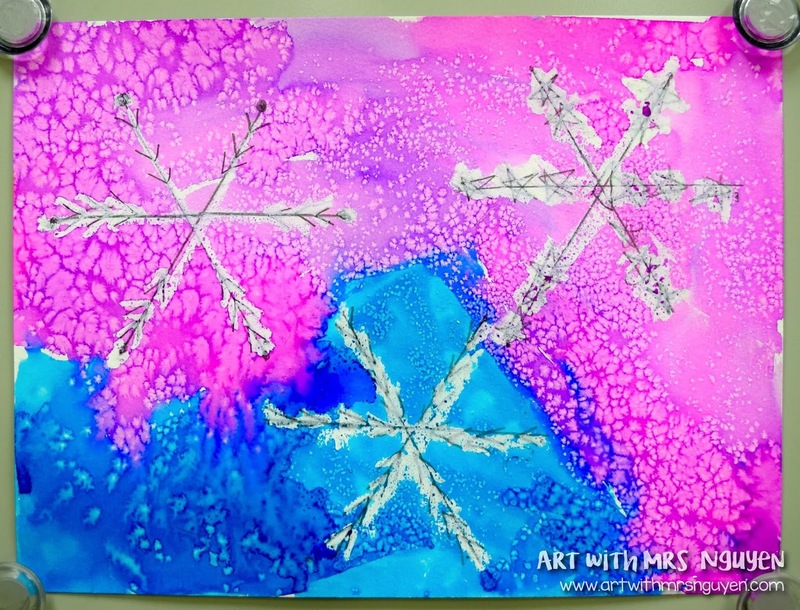 Epsom or Rock?